The plea was filed by a flat buyer Chitra Sharma and 23 others seeking protection of their rights as flat buyers. New Delhi: The Supreme Court on Wednesday agreed to hear the next day a plea of several aggrieved flat buyers who had booked their dream home in several projects of Jaypee Infratech, against whom insolvency proceedings have started. A bench comprising Chief Justice J S Khehar and Justice D Y Chandrachud said it will hear the plea of flat buyers who alleged that they will neither get a home nor a refund of their hard earned money on account of being "unsecured creditors". "Around 32,000 buyers have booked their homes in 27 different housing projects of Jaypee Infratech and they are left in the lurch as the insolvency proceedings have been started against it," said senior advocate Ajit Sinha, appearing for 24 flat buyers. He said the financial interest of secured creditors will be safeguarded first in the insolvency proceedings and flat buyers, being unsecured creditors, would virtually get nothing. Referring to the provisions of the new Insolvency and Bankruptcy Code (new insolvency law), Mr Sinha said the decrees and orders passed by the consumer courts and civil courts in favour of home buyers cannot be executed due to pendency of insolvency proceedings. He urged that rights of the home buyers needed to be protected. Hundreds of home buyers have been left in the lurch after the National Company Law Tribunal (NCLT), on August 10, admitted the IDBI Bank's plea for initiating insolvency proceedings against the debt-ridden realty company for defaulting on a Rs 526-crore loan. Jaypee Infratech is into the business of road construction and real estate. 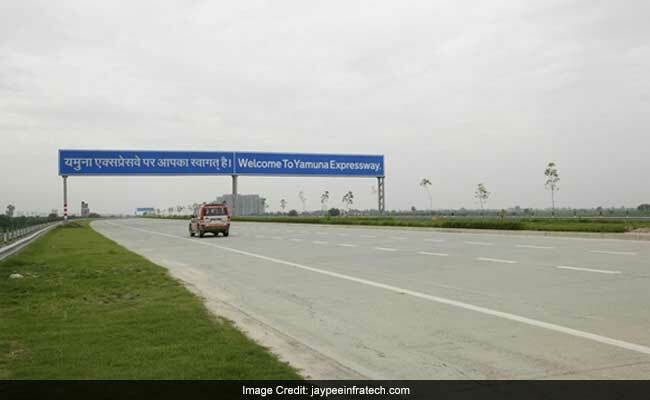 It has constructed the Yamuna Expressway, connecting Delhi with Agra.